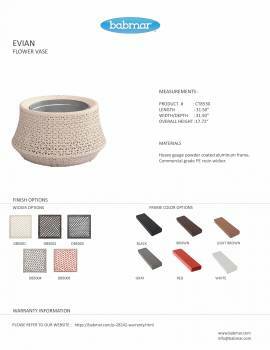 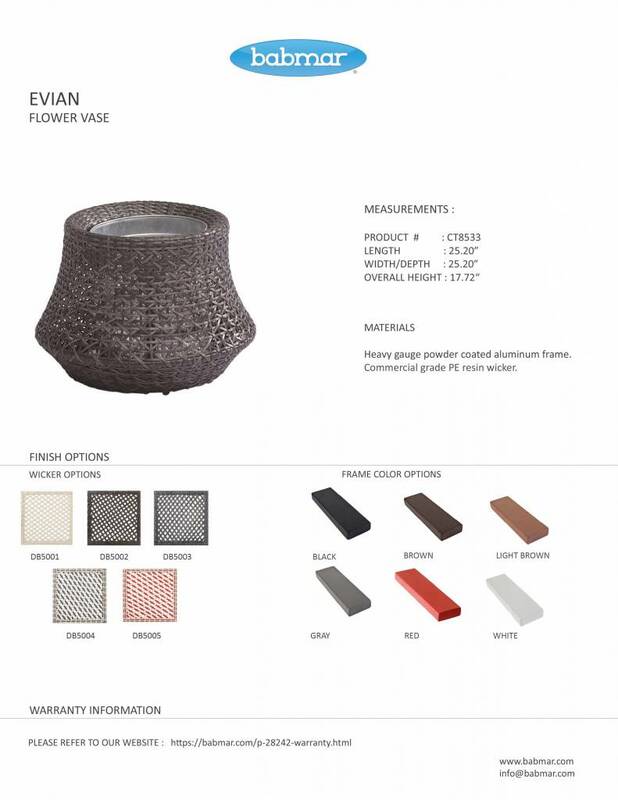 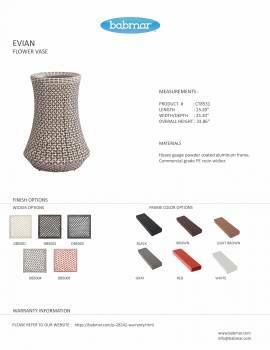 The Evian Woven Vase evokes a rustic feel with its rattan exterior. 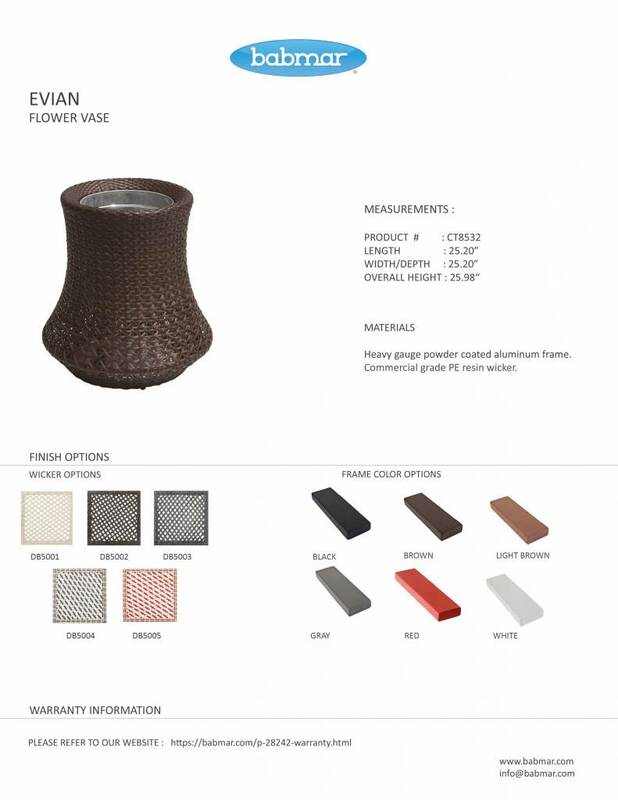 This product is environmentally-friendly and 100% recyclable. 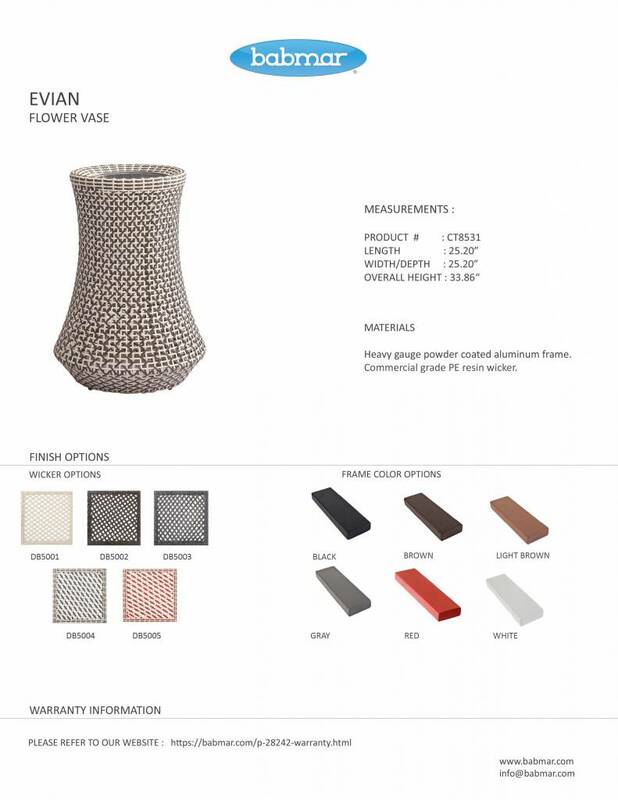 Available in different sizes and patterns, the vase can be customized as per preference. 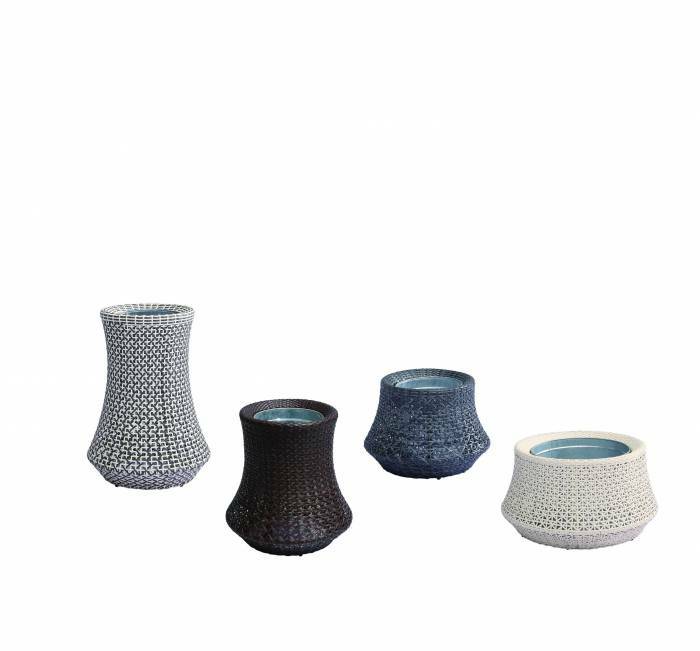 The rust-resistant aluminum frames make the vase resistant to salt and chlorinated water and prevent it from fading. Small Short Vase: 25.20"W x 25.20"D x 17.72"